Compiled by Kenneth Hite, the master of alternate histories, GURPS Infinite Worlds combines and updates material from GURPS Time Travel, GURPS Alternate Earths, and GURPS Alternate Earths 2 into one full-color hardcover volume, and gives dozens of new worlds to explore as well! This is the complete genre book on both alternative-world gaming and time travel. 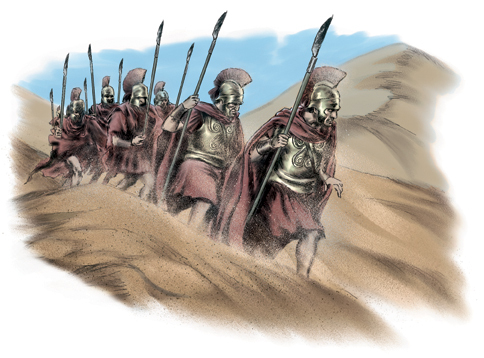 It offers detailed advice on the unique challenges of running this kind of campaign, and on designing and playing characters who regularly cross between settings. It also provides a wide variety of suitable threats and hazards – from evil cross-time Nazis and cosmic conspiracies to "ordinary" monsters and disasters. And it gives guidelines for building alternate worlds from the perspectives of the setting, the story, and the rules. GURPS Infinite Worlds: Britannica-6 – A high-adventure steampunk timeline where the Georgian period never ended and Queen Victoria was never born. GURPS Infinite Worlds: Collegio Januari – Introducing a powerful guild of wizards who challenge Infinity Unlimited's monopoly on paracharonic travel . . . with magic. 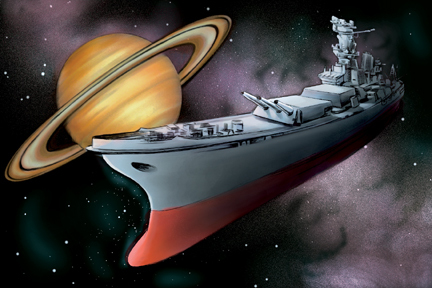 GURPS Infinite Worlds: I.S.T. – A free introduction to the world of International Super Teams and how to use it in your GURPS Infinite Worlds campaign. 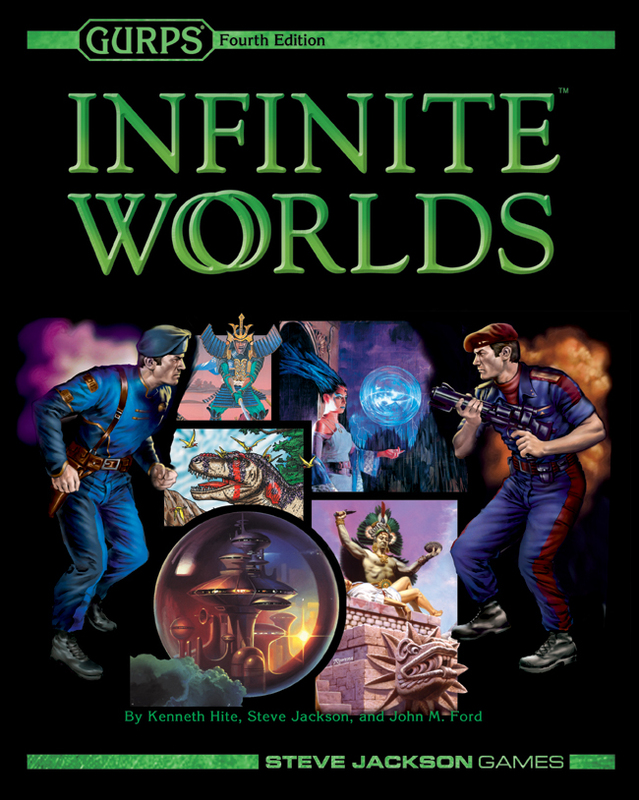 GURPS Infinite Worlds: Lost Worlds – More bite-sized alternate Earths from the mind of Ken Hite! GURPS Infinite Worlds: Worlds of Horror – A collection of alternate Earths that focus on fear! GURPS Fantasy: Portal Realms – A guide to transporting from the "mundane" world to fantastic lands, useful for tangential or variant ideas to an Infinite Worlds campaign. GURPS Alternate Earths – Why settle for only one world? An infinity of Earths is waiting for you! GURPS Alternate Earths 2 – Six more alternate histories! You can read a review of this book by SD Anderson of RPGnet. Rev. Pee Kitty has drawn out the relationships between the various world-jumping groups on this Infinite Worlds Organization Chart.